I never think about cantaloupes, but for some reason, I randomly got hit with the strongest craving for one this week. After buying one down the street, I held it in my hands like “now what do I do with it?”. My mom would eat cantaloupe with cottage cheese, but that is out for me because I’m not eating dairy. Then the idea to cut and freeze it to use for a nice, refreshing smoothie started to sound like the best option :) Cantaloupes are rich in beta-carotene, vitamin C and vitamin A. 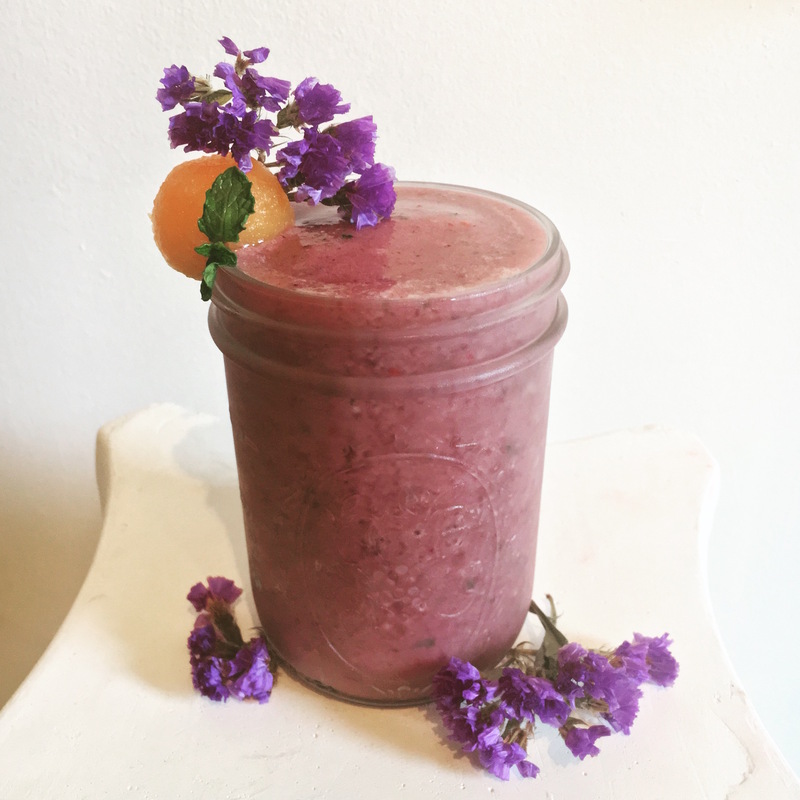 Mixed with the antioxidants in the strawberries, this smoothie is healthy as can be! I cut strawberries and a cantaloupe up and froze the fruit overnight, that way I didn't have to use ice in the smoothie!